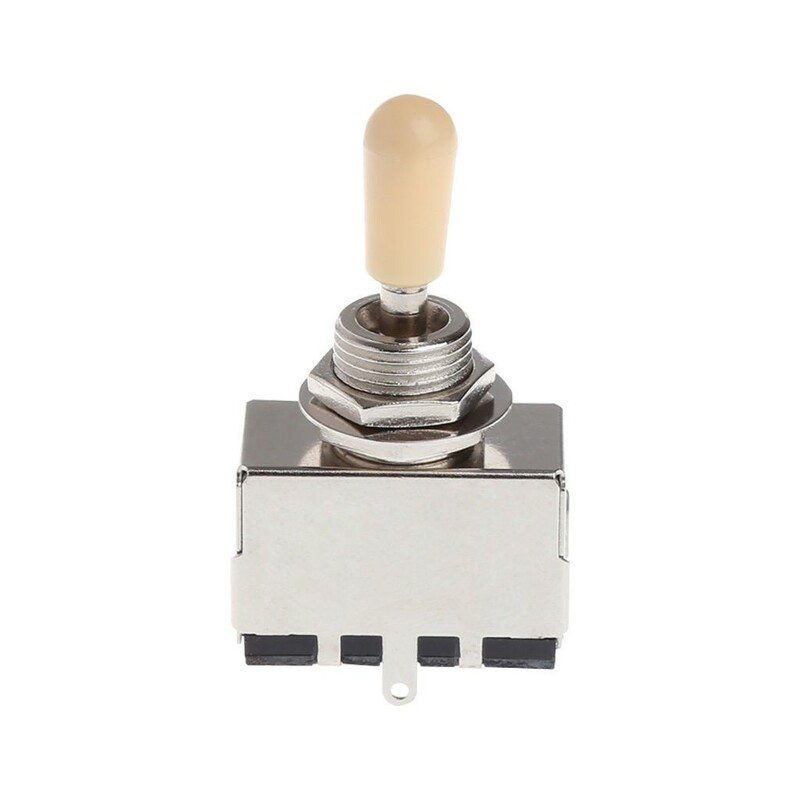 Awesome Axe-cessories 3 way LP Style switch with CREAM switch tip. Cost effective 3 way switch. If you have a PRS or Gibson or other top quality USA / Japan made instrument you may prefer to use the USA Made Switchcraft switches which we also sell.